For a brief biography of musician and folklorist Mike Raven, who died in 2008, see his old website, where there are a number of his guitar books, CDs, LPs and cassettes available. ~ by folkcatalogue on December 10, 2009. I’ll happily burn a copy of the LP onto CD for you Jon. My old mate Jon Raven would be glad to hear that you feel so positive about his voice. Don’t forget the great Transatlantic album by Jon & Mike & Derek Craft. It’s called “The Black Country Three” TRA140. It included a song by Bob Dylan, spanish songs (Mike spent time in Spain learning flamenco guitar), and standards such as The Three Ravens & She Moved Through The Fair. Derek Craft played flute & Brian Brocklehurst played bass. Wow Alistair – That would be marvelous. I am indeed a big fan of Jon Raven’s singing – as stated above. 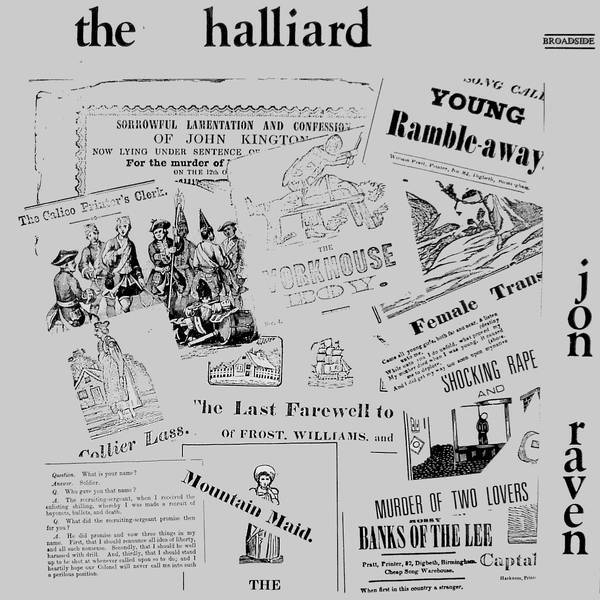 I have a wonderful album called Ballads of The Black Country by him. Some great stuff on there. I have also heard the three tracks by The Black Country Three that are included on the Halliard/Jolly Machine album (which is where I first heard Jon). 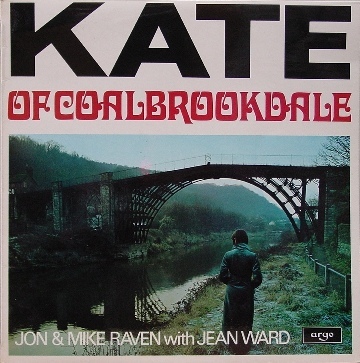 I also recently purchased two albums from Joan Mills through Mike’s site : “Songs Of The Black Country & The West Midlands” – a great album by Mike, Jon & Jean Ward & “My Old Friend” by Mike & Joan with a guest appearance by Johnny Collins. Funnily enough I was seriously tempted to buy the Black Country Three album too but had to restrain myself to two only at this time so it’s on my “to get” list. 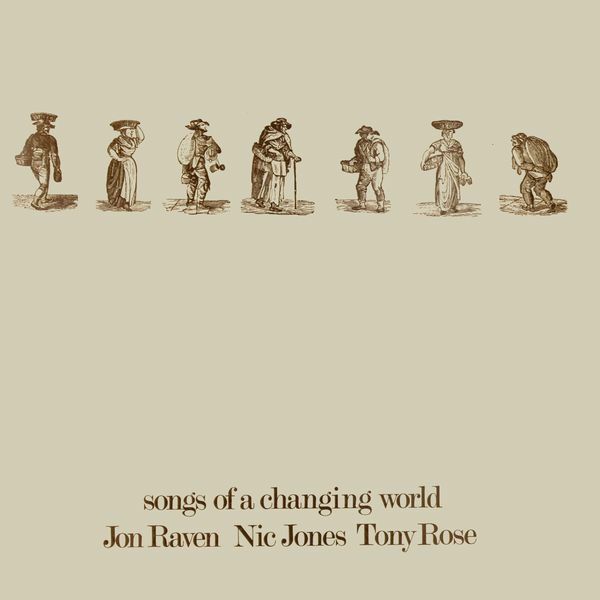 Jon Raven is one of the few singers who I can happily listen to unaccompanied. Such is the quality of his voice. Just really works for me! Anyway, I really appreciate the offer. 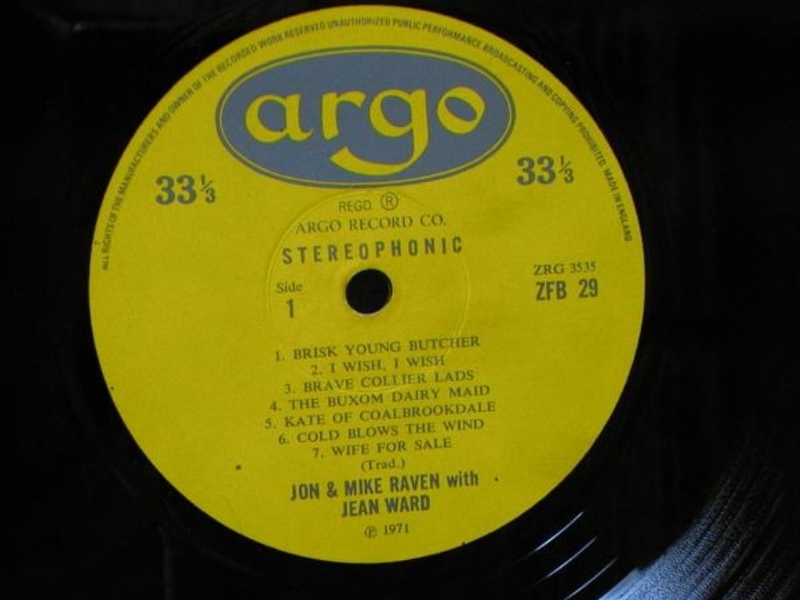 What about one of England’s great female folk singers, Jean Ward? I have just received a copy of ‘Stay Not Late’. a solo album by Jean. Wonderful. A heavenly voice. I see that she is also on Kate of Coalbrookdale.Where will I be able to get a copy of it, please help. I’m way over here in New Zealand. These are great singers and dear I say of another time! We have to keep this music alive. Hi, I feel that there is an album missing from the discography above =- Released in 1970 on the Roman Head label – 99 copies only – Jean Ward – Michael Raven – The Lass From The Low Country. Superb album, very rare – there’s one on my website. cheers Chris. will check out your site. Mike and Jon produced a series of Folk Music books for the Wolverhampton Folk Club in the early 1960s. There were 3 volumes in what I think was foolscap size (pre metric A4 standard in the UK). They also released, for club members only, a very limited number of copies of a Wolverhampton Folk Club ep. Perhaps as few as 200 were issued to be sold at the club, perhaps fewer? This too was issued by “The Black Country Three” i.e. Jon & Mike Raven & Derek Craft. These tracks are Black Country classics!